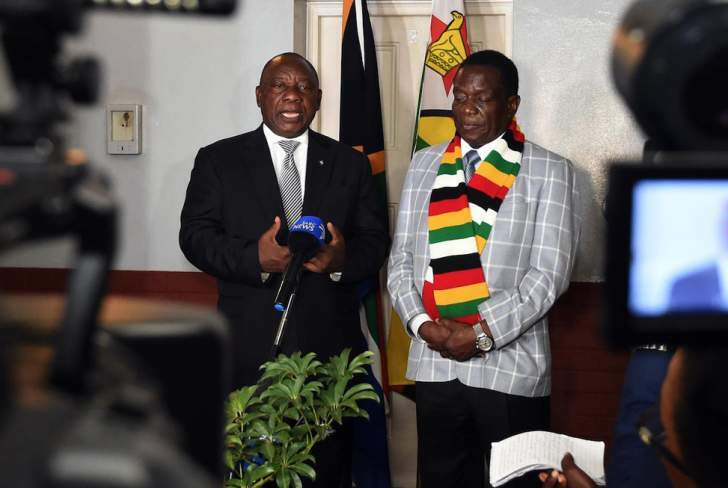 The Congress of South African Trade Unions’ international relations unit has demanded that government abandon its "tepid" approach to addressing recent events in Zimbabwe and use international platforms to condemn violence against Zimbabwean civilians. Deputy international secretary of the federation’s international relations unit Zanele Matebula told Fin24 on Monday that civil society and labour leaders in Zimbabwe, including Zimbabwe Congress of Trade Unions (ZCTU) President Peter Mutasa, have disappeared or were being pursued by authorities. "We just received word from one leader that, on a ground-level, things are happening. We get updates from ZCTU. The house of Mutasa has been ransacked by police and they are looking to arrest him and charge him with treason," said Matebula. Matebula said South Africa was being too tepid in its response to the cracjdown. She said the federation would even advocate for South Africa to use the World Economic Forum meeting in Davos as a platform to apply pressure on the Zimbabwean government. According to the Associated Press, at least a dozen protesters have been killed in the state's crackdown on protests. "We believe there is room. SA is in the [United Nations] Security Council. Our voice as a country is very strong and carries weight. To fail to support the people of Zimbabwe is bad on our part because there is a lot we can do. We seem very careful and light in how we respond, but whatever happens in Zim affects us," Matebula said. President Cyril Ramaphosa will lead SA's delegation to Davos between January 22 and 25. Zimbabwean President Emmerson Mnangagwa was set to attend the event to drum up investment, but announced he was cutting short an international tour to return to Zimbabwe on Sunday in "light of the economic situation". "We will be ably represented in Davos by Minister of Finance, Mthuli Ncube. The first priority is to get Zimbabwe calm, stable and working again," tweeted the Mnangagwa. Matebula said the Zimbabwean government had proved its aims when it restricted internet access in light of protests that began in earnest over a missive hike in the price of cost of fuel. "We expect them to intervene decisively to end violence and make sure people are not being killed in the manner that they are being killed. We cannot communicate immediately to comrades in Zimbabwe because of the blackout of the internet," she said. She said Cosatu would plan a march either to the Zimbabwean embassy in South Africa, or the consulate office, in solidarity with ZCTU. She said this march was expected to take place soon, but details are to be confirmed. South Africa has taken a back seat in publicly commenting on the protests and the crackdown by Zimbabwean security forces. On January 15, the Department of International Relations and Cooperation said in a short note it had "noted protest action in Zimbabwe and [was] monitoring the situation". "Consultations are taking place between diplomats, we are confident that the measures being taken by the Zimbabwean Government will resolve the situation." On Sunday, Minister of International Relations & Cooperation Lindiwe Sisulu said in a note that she had noted that protests in Zimbabwe had "calmed down and life in the streets of Zimbabwe is returning to normal". "The Minister also received a briefing from the South African Ambassador to Zimbabwe, Ambassador Mphakama Mbethe, on the economic situation in the country. Minister Sisulu indicated that the South African government was working with the Zimbabwean Government in finding a short- and-long term solution to the economic situation," the note said. "The Minister added that if the situation is not attended to the current economic challenges can derail the political and economic progress the country has made since the election of the new president."